Getting Ready for a Year of Independent Reading! Library Organization and More! Well, it's back to school time for me, and a big part of my classroom preparations involved "tidying up" my classroom library. 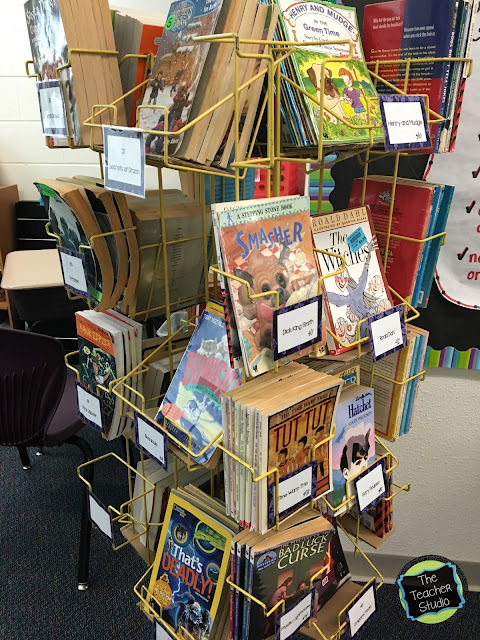 I always have a ton of questions about how I organize my somewhat ridiculous collection of books--so I thought I'd share a little bit about how I get my library ready so that my students can really dig into their reading from that first week of school! Here is my monster shelf of books...this is where a huge chunk of my collection lives...this and the "yellow spinny thing" that I inherited about 20 years ago from a retiring teacher. These two sections of my collection are organized in bins and are grouped in author and series collections. For series where I have only a few, I put several "like" series in one bin. Each bin has a label with a number...and that number gets written on each book in the bin. 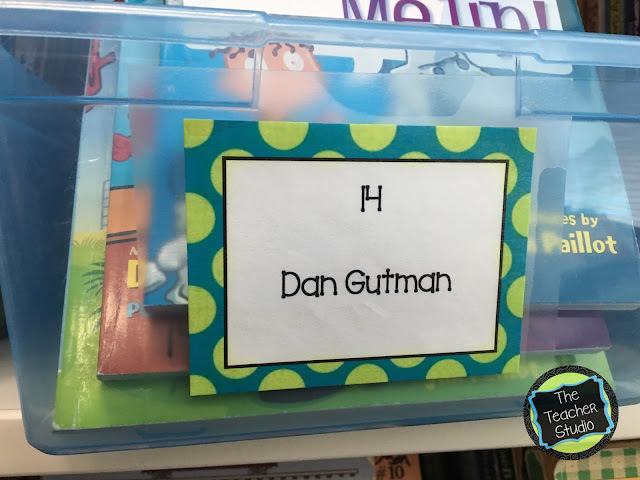 This makes it SUPER easy for students to return books to the right place. Here you'll see another collection of books (do NOT judge the mess...I hadn't "tidied" this shelf yet!) where I have bigger books and genres...there is a biography bin, animal books, Magic School Bus books, fairy tales, poetry, and so on. 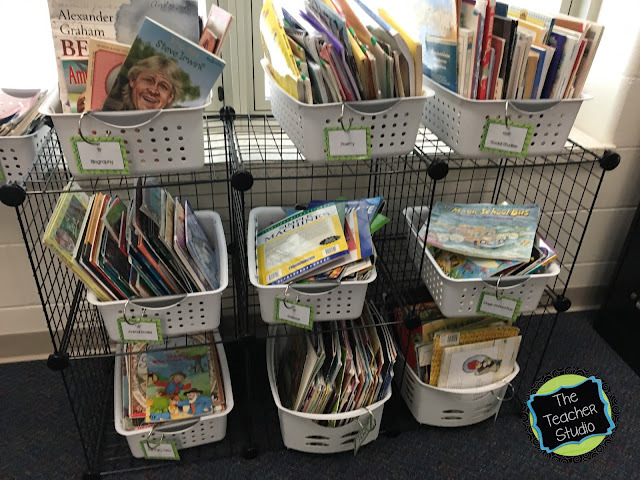 I also have two "just for fun" bins which are great when students need a quick read or if we go read with a buddy class. 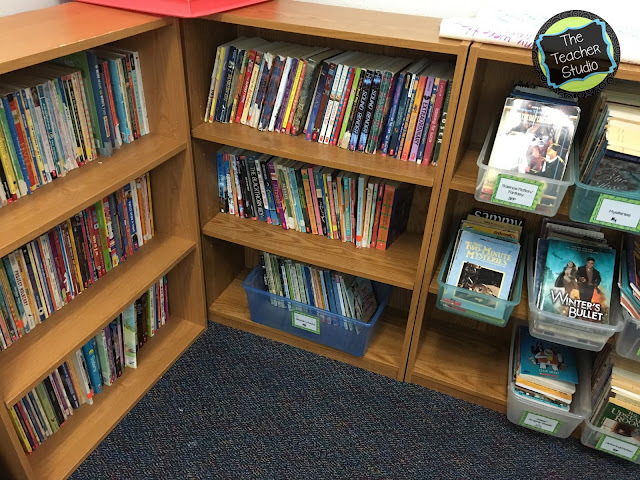 Any books that don't have a specific bin get put on the regular shelves...these are a great place for students who are struggling to find a book to just "browse" to see if something captures their attention. 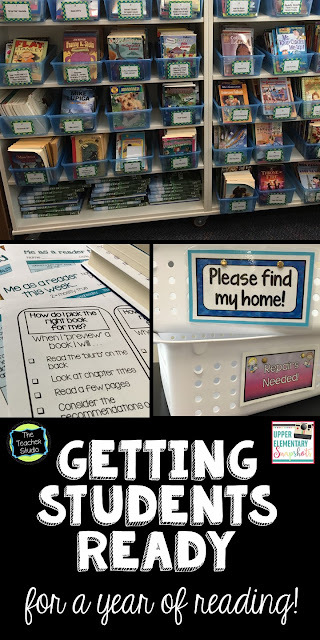 I also like to keep things as streamlined as possible...if a student can't find where a book goes, they can put it in the "Please find my home" bin and then that becomes a job for my library team. 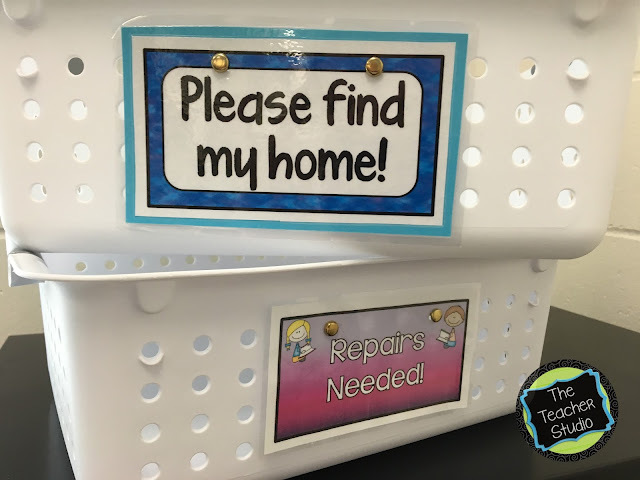 There is also a repairs needed bin where parent helpers fix damaged books every few weeks. In another part of the room I store my multiple copies. These books are not free for students to use, but I use them for book clubs or if a student REALLY wants a book. I keep them protected by bobbleheads and other important items! 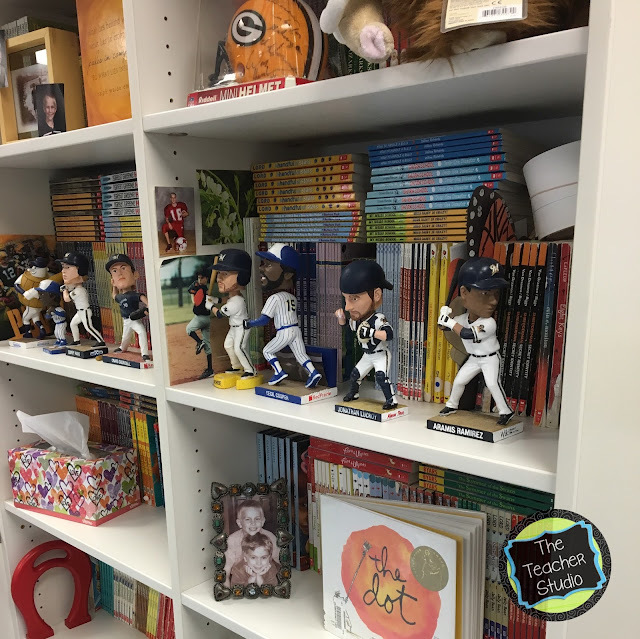 I spend a lot of time making my collection organized because I really and truly want my students to use it. I do not have them check books out--it's all honor system. I want them reading during reading time, not having to do a complicated system that then needs to be maintained. 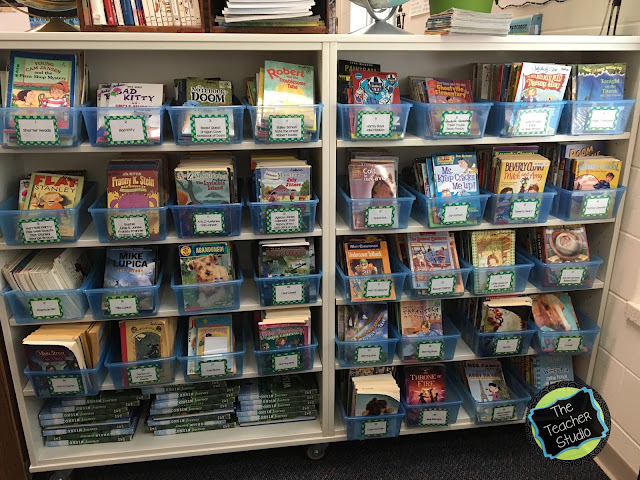 No books are organized by level because I want students to learn how to select a "just right "book. 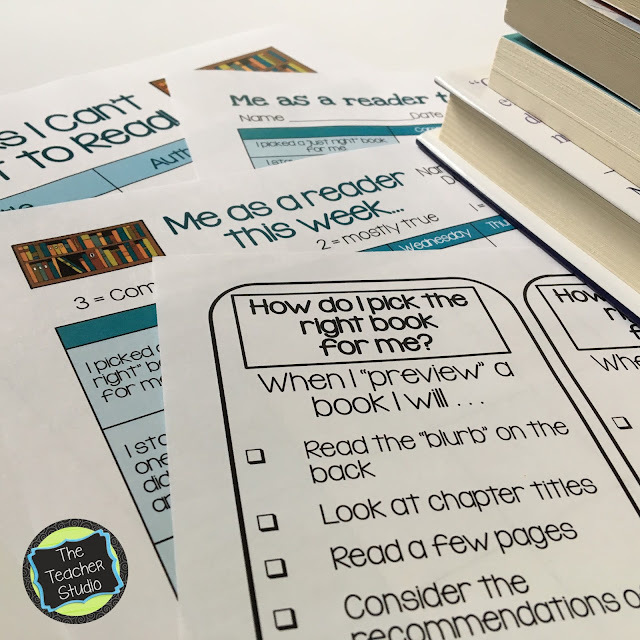 In fact, the entire first few weeks of my literacy instruction focuses on "reading behaviors" such as choosing the right book, reading with stamina, selecting from different genres, how to stay focused, and so on. We make lots of anchor charts and do lots of practicing...we take interest surveys and make "books I want to read" lists. I do tons of book talks to try to get them super excited to dig into my book collection! Many of the lessons and resources I use are in my "Getting Ready for a Year of Reading" resource. You can click the image below if you are interested in seeing more. I hope you have a wonderful year of reading with your students...and have fun getting them as excited about book as I hope you are!